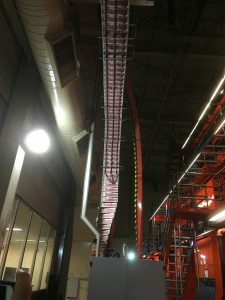 “We’re proud that we’re not Donald Trump.” That was the immediate reaction of Winnipeg Free Press publisher Bob Cox when asked about Canadian political identity. He adds that there is a marked difference in policies related to immigration and refugees. Canadians like to think of themselves as the “nice guys,” he says. Nowhere is this contrast more evident than in Winnipeg, where until months ago, Haitian nationals were streaming across the US-Canada border because their temporary protected status was ending in the United States. 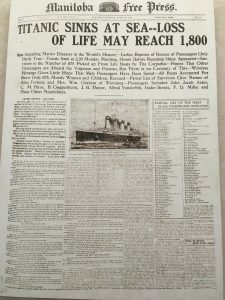 Advertisement pages are printed at the Winnipeg Free Press at a rate of 30,000 per hour. 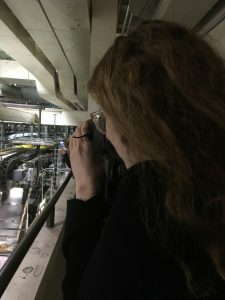 Student journalist, editor, and photographer extraordinaire Francesca Billington snaps an action shot of the Winnipeg Free Press print room. Kit Muir, a Winnipegger and journalism student at Red River College, echoed Cox’s sentiment. She noted that in her experience, Americans have a reputation for unfriendliness, a Twitter-happy leader, and poor relations that she is happy to avoid as a Canadian. Muir acknowledges that Canada has its own problems not so different from America’s, but she believes that on the whole Canada has done better on these issues than the United States. While we were discussing race relations in America, she likened the racial history of African-Americans to that of indigenous people in Canada. She noted that “First Nations in Canada are where black people are in America,” whereas everyone else – recent immigrants included – more or less stood on an equal playing field. Bashir Khan, a lawyer we spoke to on Sunday night, believes that indigenous people and refugees are both almost exclusively “othered” in Canada. 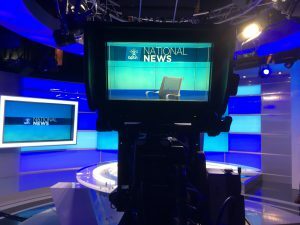 The set of APTN National News, minutes before broadcast. Many of our speakers brought up the guilt that many non-indigenous Canadians have for the way indigenous people have been treated. But all acknowledged that efforts to atone for grievances committed are too little too late. For college student Muir, “acknowledgements,” a common practice at the beginning of official Canadian events noting that the event is taking place on indigenous land, seem like empty gestures without concrete action to rectify atrocities toward indigenous people. Pugliese felt the same way about Prime Minister Justin Trudeau’s Truth and Reconciliation Commission. The deep-seeded issues in Winnipeg don’t stop there. A flood five years ago still leaves hundreds of poor residents homeless. Educated youth are leaving faster than people are having children. A race problem that lurks below the surface to many people is all too obvious for others. The more I talked with Winnipeggers, the more Winnipeg seemed to face many of the same problems as small towns in the United States.